Chad Stickney and friends scoring some tasty right hand beachies “South of the border” (Mexico). 8 times Dropknee world champion Dave Hubbard chucking buckets in Mexico last month. Shoot and edit: Alan Favela. One hour with Alfonso Aguilar in Mexico. Music: Gera Mxm- Dando Vuelta. Film and edit: Alan Favela. Manuel Carballo sliding into some Puerto Escondido bombs during 2017. Footage by Isi Rider, Petronifilms and Nelnimadres. 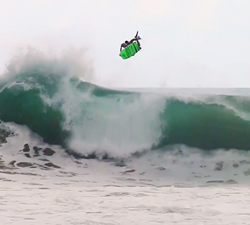 A summary of 6 week trip to Mexico with a talented crew of French boogers. Edited by Julien LE SÉHAN.